Summer is a busy and rewarding time for gardeners. Your focus is likely on your plants and bountiful harvests during the summer months. But make sure to spend time fortifying and caring for your soil. In my previous blog post we looked at the importance of healthy soils. As you start to harvest fruits, vegetables and flowers from your garden you will be removing valuable nutrients. It is essential that you replace these and keep a healthy balance of life in your soil by continuing to add bokashi pre-compost to your garden. Our bokashi bran (compost accelerator) is teeming with microbes. Direct sunlight and high temperatures may kill these microbes and organisms making the bokashi bran ineffective. Your bokashi bran needs to be stored out of direct sunlight and at room temperature. Remember that, although your fermented food scraps will not attract animals, your bokashi bran may do. We recommend keeping your bokashi bran indoors, away from wildlife and pets. bury your bokashi pre-compost in several small holes around your garden. This is a great way to improve the soil throughout your garden; your plants will thank you for the extra boost from your fermented food waste. take advantage of crop rotation. 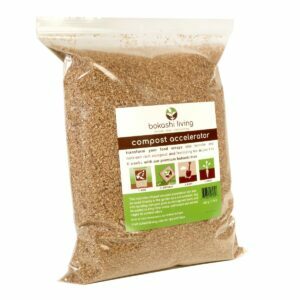 Bury your bokashi pre-compost in bare areas of your vegetable bed or allotment after you have harvested. Growing and harvesting fruits and vegetables removes much needed nutrients and minerals from your soil. Adding bokashi pre-compost to your soil just after a harvest is the perfect time to replace these nutrients and microbes. use a soil factory to create a ready supply of compost and to store your compost until you need it. 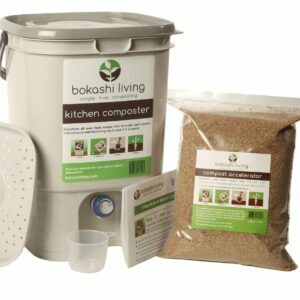 add your bokashi pre-compost to your compost pile. donate your pre-compost to family, friends, a local school garden or allotments. Maybe you can get some of their abundant harvest in exchange for your incredible bokashi pre-compost! 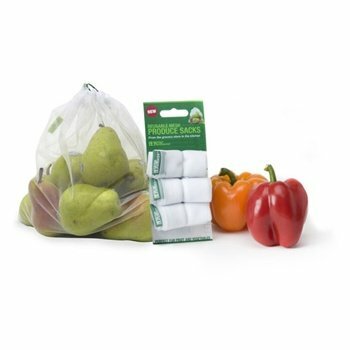 Keeping food scraps on the kitchen counter during the summer is bound to attract a couple of fruit flies. Fruit flies typically live for around 6 weeks and, during that time, female fruit flies can lay up to 500 eggs! At room temperature, these eggs can become adult fruit flies in just two weeks. This explains how one or two fruit flies can quickly become a swarm! Read our top 5 ways to get rid of fruit flies. As with your bokashi bran, your kitchen composter needs to be stored out of direct sunlight and at room temperature; either indoors or in a shaded spot of your balcony or backyard. Allowing your bin to overheat may kill the bokashi microbes and mean that your bokashi bin will be unsuccessful. What can I put in my bokashi bucket? What is going on in your bokashi bucket? ← What’s best to put in your bokashi bucket?